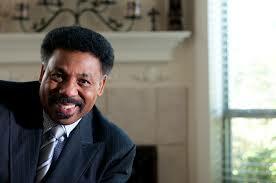 This last year, I had the privilege of coaching Dr. Tony Evans and his team at Oak Cliff Bible Fellowship in Dallas. When we started the partnership, they had a solid small groups system producing strong incremental growth, but a few adjustments netted a huge dividend. People are there because they like the senior pastor’s personality and style. They glean from his wisdom and laugh at his jokes. When the senior pastor offers a curriculum featuring his teaching, it’s difficult for the pastor, but it’s a no brainer for his people. They want in! On Sunday, September 1, 2013 (Labor Day weekend), Dr. Evans preached a message called The Connection Commandment. “Even though it depresses me to know you forget my sermons week by week, I do have issues with that, the good news I have for you today is if you just remember two Jesus says everything else hangs on them. You are to love [God] with everything that you got and you are to transfer that to others and when you do you got the whole Bible starting to live inside you because He said the whole scripture depends on just these two,” said Dr. Evans. He went on to invite people to open their homes and gather groups to grow together. On Labor Day Sunday, 260 people at OCBF said “yes” and turned in a card committing to launch a group. By the time the Destiny series started three weeks later, 500 people offered to start groups. Intially, small group leaders at OCBF went through extensive training prior leading a small group. In fact, their leadership process is a year long. But, for this series, they reframed what they were asking for. This wasn’t a call to “leadership” per se. This was a call to obedience, because everyone is called to go and make disciples. After people said they would start a group, the staff made sure everyone was a member at OCBF, which was a requirement. Now, I’ll be honest, I was nervous about this requirement until I discovered the church had 7,000 members. That’s a number I can work with. The staff invited the people starting groups to a one hour orientation to cover the basics, then let them get started with the series. Following the series the church offered additional training to these new leaders. The end result is including all of their small group leaders, new and established, in the same small group system. What did Dr. Evans and his team do that you haven’t tried yet? What’s holding you back? Leave your comments below. 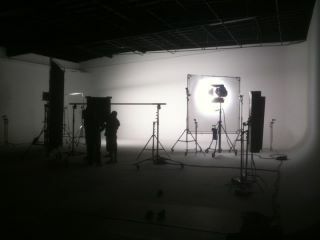 You know when I graduated from Bible college 25+ years ago, I never imagined I would ever work in video production. Now that I’ve been working with Brett Eastman over the past decade, I’ve actually interviewed hundreds of people on-camera for various projects. But, this interview was the most challenging by far.